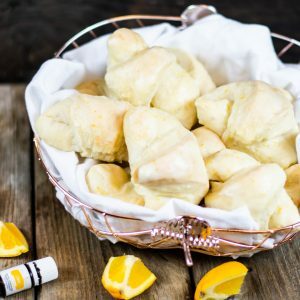 My family never celebrates a holiday meal without these light fluffy and delicious rolls. 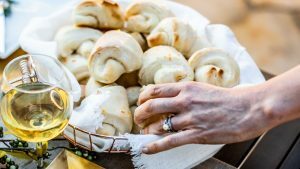 Bread and rolls can be a tricky thing to perfect, but this recipe is pretty simple to get just right. Follow my simple tips and you should get perfect results each time! 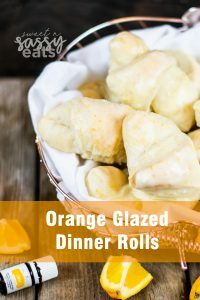 My family always puts the orange glaze over most of the rolls we enjoy, but we have a few family members who prefer it without the glaze. We brush the hot rolls with butter and serve with jam. 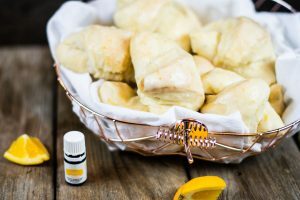 In my glaze, I LOVE to use Young Living Vitality essential oils. They enhance the flavor without affecting the consistency of the glaze. 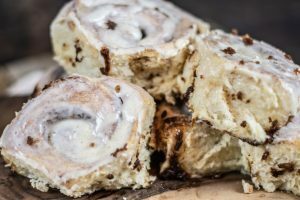 I use this same dough recipe to make cinnamon rolls with just a couple of slight adjustments. I’ve also made them more savory with garlic, herbs, and cheese. Really the sky’s the limit with this dough recipe! So go ahead and be creative! 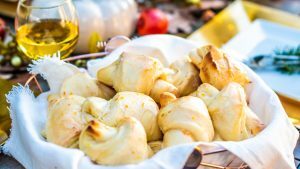 My family never celebrates a holiday or special occasion family dinner without these light fluffy and delicious rolls. We always have to plan for at least 3 to a person... so plan accordingly! Once it has completed it's rise, remove from fridge. Pour dough out onto a floured surface. Knead a few times to get a smooth ball. Separate into 3 sections. Roll each section out into a round disc about 1/4 - 1/8" thick. Cut into 8 pizza shaped pieces. Gently roll into crescent shape. Place on parchment lined baking pan & cover. Allow for a second rise, about 2 hrs. Preheat oven to 350 degrees. Brush with melted butter and bake 10-12 minutes. Use an instant-read thermometer, rolls are cooked perfectly once they reach an internal temperature of 185 degrees. Remove from oven, brush with glaze while still warm, or if you aren't using the glaze, brush with melted butter and serve with your favorite jam!